Win World of Warriors™ lunch items worth £23.99! The greatest warriors in history are invading the classroom this September, as global entertainment company Mind Candy launch their first ever back to school range for their epic World of Warriors™ mobile gaming app! World of Warriors™ features the greatest warriors in history fighting it out in the vast Wildlands against an evil Skull Army. Aztec vs Ninja, Roman vs Samurai - a whole host of historical characters all with incredible back stories. 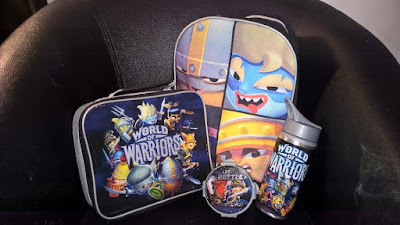 With an exciting new range of products available, including World of Warriors™ lunchboxes (RRP £8), snack pots (RRP £1), water bottles (RRP £4.99) and school bags (RRP £10), your little one will have everything they need to join the battle and start the new school year in true warrior style! To celebrate the back to school launch, Unique Young Mum will be giving one lucky winner the chance to win the ultimate Warrior school survival pack! 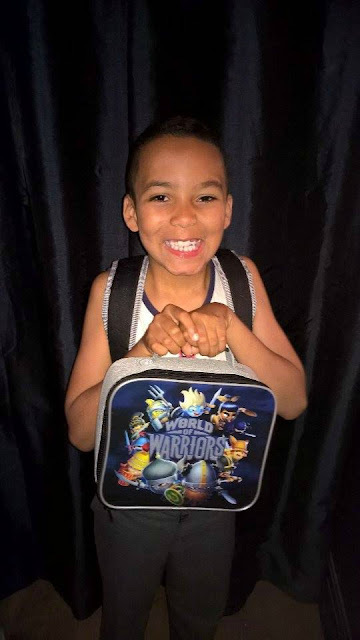 Along with the back to school range, the winner will also win a limited edition warrior food diary, full of nutritious and delicious meal plans that will have your children fighting fit and eating like their favourite Warrior in no time! You can see what me and Spud thought about the lunch range and meal plans by checking out our review post here! Please note: You must at least follow/like Unique Young Mum on at least one social media platform! To find out more about World of Warriors, and to view their full range of products, check out the official website here.